Germany and The United States of America were united on how to deal with Russia’s invasion of Ukraine. President Barrack Obama and German Chancellor Angela Merkel threatened tougher and higher sanctions against Russia if Moscow doesn’t change their disruptive behavior. “We will not have a choice but to move forward with additional more-severe sanctions” if Russia disrupts a Ukrainian Presidential election which is set on May 25. The statement was made by President Obama at a news conference when Chancellor Merkel visited the White House. 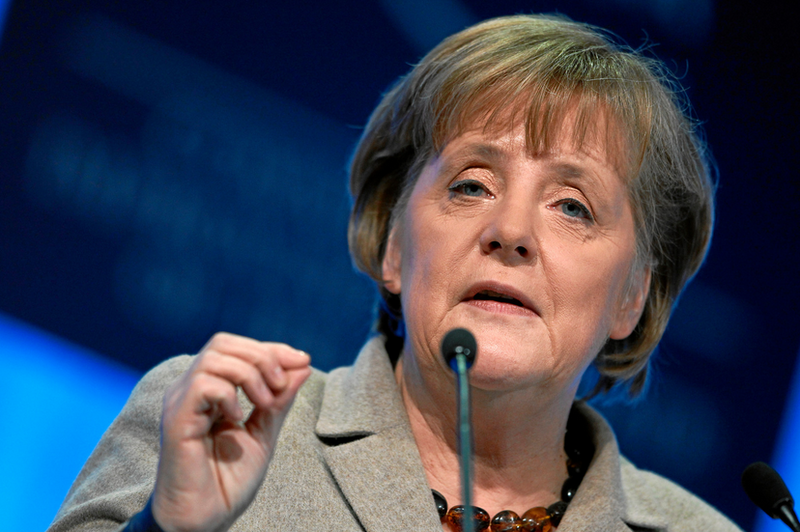 “Further sanctions will be unavoidable,” The German Chancellor added. The two leaders made it clear that the next step would be to impose tougher sanctions on separate parts of the Russian economy or military, or energy or arms for example, but neither of them confirmed what sanctions they will impose. Putin “needs to be dissuaded from his current course,” President Obama said. The two leaders also discussed the recent spying scandal involving the NSA listening to America’s allies including the Merkel herself. “There are still some gaps that need to be worked through,” President Obama said. “We have differences of opinion to overcome.” Chancellor Merkel added. The two leaders held a meeting as the European Union said that it was going to hold talks between Ukraine and Russia later this month about the price of natural gas and the prevention of disruption in its supplies. Russia recently jacked up the price of gas from $268.50 per thousand cubic meters to $485. Moscow also threatened to limit deliveries if Kiev doesn’t comply with the new prices and repay a debt of $3.5 billion. Meanwhile in Ukraine, two helicopters have been shot down by pro-Russia forces and dozens of rebels have died and wounded as the interim government in Kiev launched its first major attacks against an insurgency that has occupied multiple government offices in the east. The Kremlin said that Kiev’s attack has destroyed the two week old Geneva agreement regarding the cooling down of Ukraine’s crisis. President Obama and Chancellor Merkel said that they would prefer that the crisis in Ukraine be settled on a diplomatic manner. Merkel has spoken to President Vladimir Putin more frequently than any other European leader. Because of this, America sees the German Chancellor to be a critical channel of communication, as well as a key player in the effort to prevent other EU leaders to go soft on their own sanctions. “There’s no question that the situation in Ukraine, the continued failure by Russia to abide by its commitments in the Geneva Agreement will be a focus of the conversation,” White House spokesman Jay Carney said. The two leaders also discussed other actions aside from sanctions including sending troops to Ukraine and sending military weapons to Ukrainian forces. Both Merkel and Obama said that they are against using military pressure against Russia. Senator John McCain, who has urged Obama to send weapons to Ukraine’s government said he planned to tell Merkel during a private meeting that he was embarrassed but unsurprised of his country’s failure of leadership.